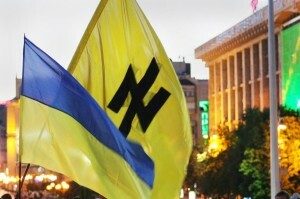 VIDEOS: Ethnic Cleansing as a US Sponsored Political Tactic, Trashing Ukrainians. Here’s How Obama’s Team Eliminates the Electorate for Viktor Yanukovych (Whom Obama Overthrew in February 2014), Trashing Them So As To Assure that ‘Democracy’ in Ukraine Won’t Elect Another Pro-Russian President: America’s Bloody Grab of Ukraine Isn’t Shown in TV ‘News’, NYT, etc. If America’s bloody grab of control over Ukraine isn’t shown in TV ‘News,’ NYT, etc., then what does that indicate about ‘democracy’ in America? Has America, perhaps, become the most advanced totalitarian country? And, if so, then is it all controlled now by America’s aristocracy, the same aristocracy that ships America’s jobs to third-world countries, and that has benefited from the MBS frauds that crippled the global economy in 2008, and that received and continues to receive ongoing bailouts from U.S. taxpayers via soaring federal debt and massive off-shoring of tax-liabilities to the Cayman Islands, etc.? Is this the reality that our children will inherit from our generation? And, if so, then will they ever be able to recover from it? Or will they simply drown under an ocean of student-debt, etc., as the rentier class scoops up still more of the wealth that’s being created by the productive public? Is this the new form of serfdom? Has America become just a con of the public by the aristocracy? Is that what it now comes down to, really?